Wow...... Another great night at the Roundhouse in Camden. Loads of awards, dinner and speeches, but I'm itching for the formal stuff to end (I found I'd eaten roast beetroot, which I hate) because then Skynyrd will be on stage.... and I'd seen them rehearse, so I know what's coming!!!! Earlier in the day I was fortunate to be around when the Roundhouse was being set up and the bands were soundchecking. Watching St Jude, Walking Papers and Lynyrd Skynyrd rehearsing..... the tables being set... the goody bags being filled, great headphones in there. Later we all came back and took our place at the tables. To my surprise, sitting on the next table is Jeff Beck and ZZ Top. I'd got a pic of Jeff I'd taken at last years show and finally plucked up the courage to ask him to sign it. He pushed the beetroot aside, grinned and signed away........Saint Jude came on stage and lit the place with a real energetic, rocking set that the whole audience just loved. At last, Duff McKagan finished with the awards and on they came... starting the chords to "Sweet Home Alabama" . "Good ole Neil put 'em down"! Then into "Freebird". By the time this epic was complete, I'd filled two 8GB cards and was exhausted. I rushed back stage to get shots in the dressing rooms, but the whole night had taken so long, they were off. Feeling like a schoolboy, I held the door open for them as they rushed out saying "Thanks Y'all". I wandered into the dressing room with their tour manager, they'd left their chocolate brownies there, so we sat and ate most of them to take away the taste of that flippin' beetroot! Classic Rock at the Roundhouse. The Ipswich born Ballet Master and Principal Character Dancer at the Royal Ballet has just been awarded Outstanding Male Performance (classical) in the Critics' Circle National Dance Awards. I worked with Gary when he brought a charity ballet gala to Ipswich Regent last year where £50,000.00 was raised for the Hunger Project. I was delighted to donate my time for two reasons. Firstly, it was a privilege to be asked to work with such a dedicated group of people and to see so much money raised by the people of Ipswich, which was made possible by a galaxy of stars and technicians from the Royal and National Ballet companies who also gave their time for free. Secondly, you will know if you have browsed this website that I am a Rock Music fan... go Neil Young.... But, I found the performances of the artists Gary brought to Ipswich breathtaking. The fitness levels, strength, athleticism, poise and elegance of the dancers has to be seen to be fully appreciated. So, congratulations again Gary, for your award and your work for the Hunger Project. 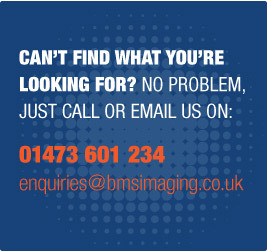 Tom Rees was enjoying his two weeks work experience with BMS Imaging Ltd. I had given him a little project to photograph randem items at macro level and to produce a portfolio of pictures to take with him when he completed his time with us. The finished rsults were superb and I have asked Tom if I can keep them to show future students what can be achieved if they really want to. I think Tom had a great two weeks with us, at least I hope he did... great set of pictures, won a competition and held an Olympic Torch!!!!! What a great night at the Roundhouse for the Classic Rock Roll of Honour. I photographed, for Monitor Audio, one of my all time guitar heroes, Jeff Beck. His album "Truth" was the first "LP" I ever bought. It was back in 1970 or so and I was a first year art student with no music, so I browsed some second hand store and just loved the cover and I've been buying his albums ever since. Apart from meeting Jeff backstage along with Joss Stone and Gene Simmons of "Kiss", I also donated pictures for the charity "Childline Rocks", photographing the musicians as they signed memorabilia which will be auctioned to raise money for "Childline". None of the bands refused to sign and were all delighted to do so. So a good night was had by all... Monitor Audio got pictures for their Facebook page, Childline got some PR shots and I got Jeff Beck's autograph on my very first album...... Hi Ho Silver Lining!!!! !